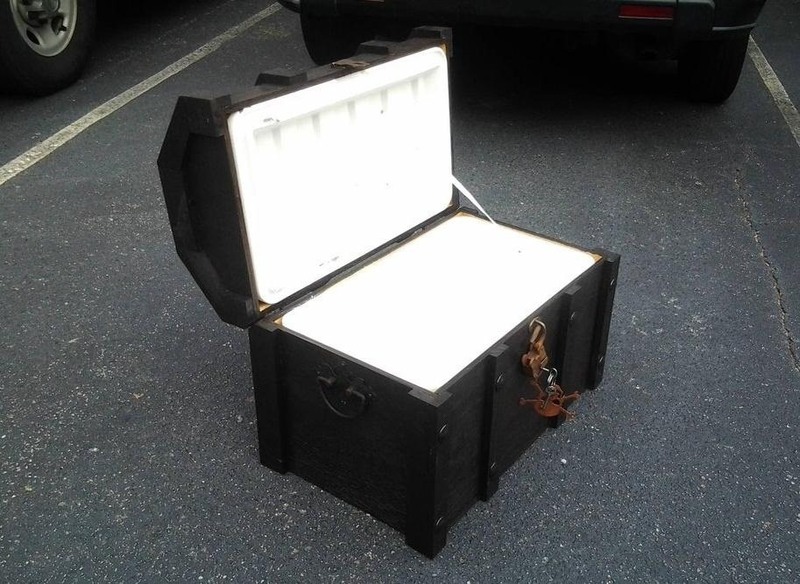 Redditor ShutUpLori turned a regular 52qt cooler into a pirate chest using some plywood, door hinges, and a few small pieces (lock, handles, and nail covers) easily found on Google. Here's what he came up with. 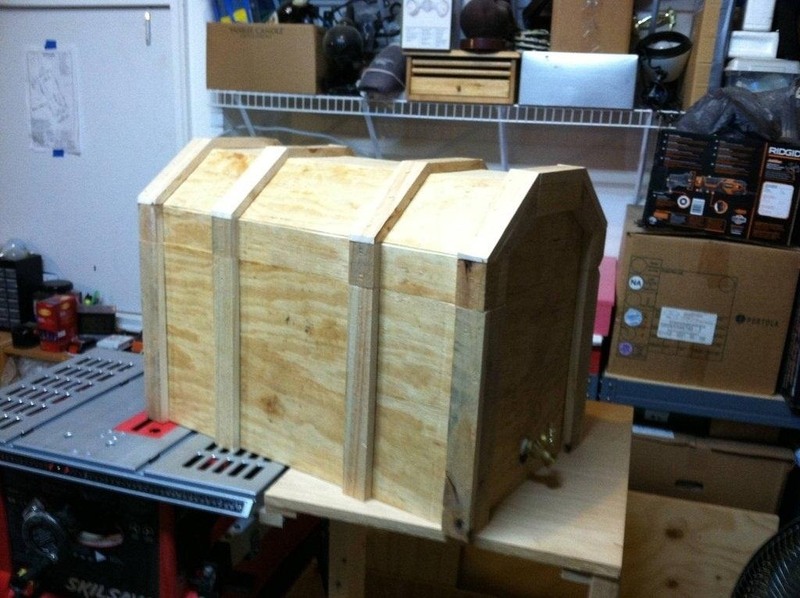 After making a basic box from the plywood, ShutUpLori sanded it down, attached the lid with door hinges, and made some trim out of pallet lumber. 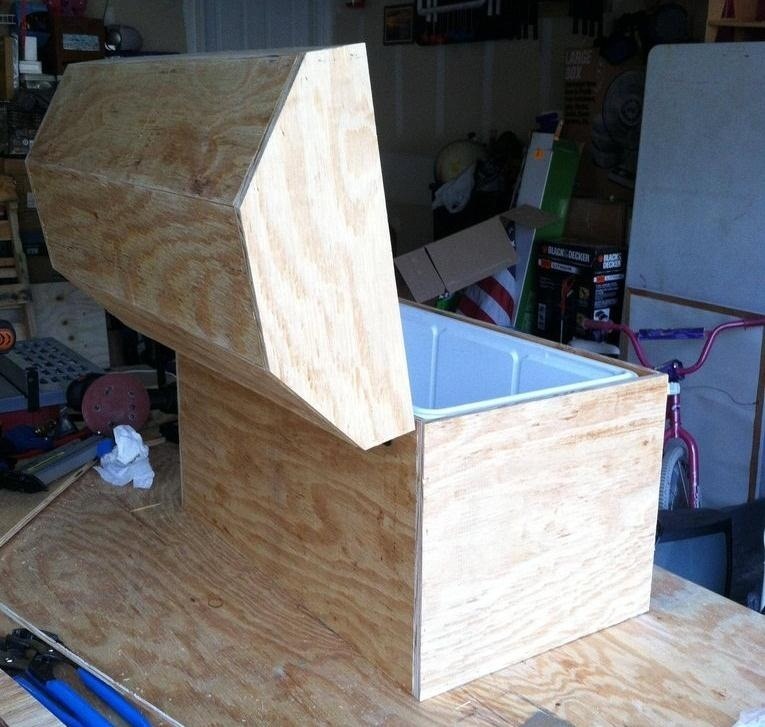 The cooler itself doesn't actually attach to the box in any way, it just sits inside. 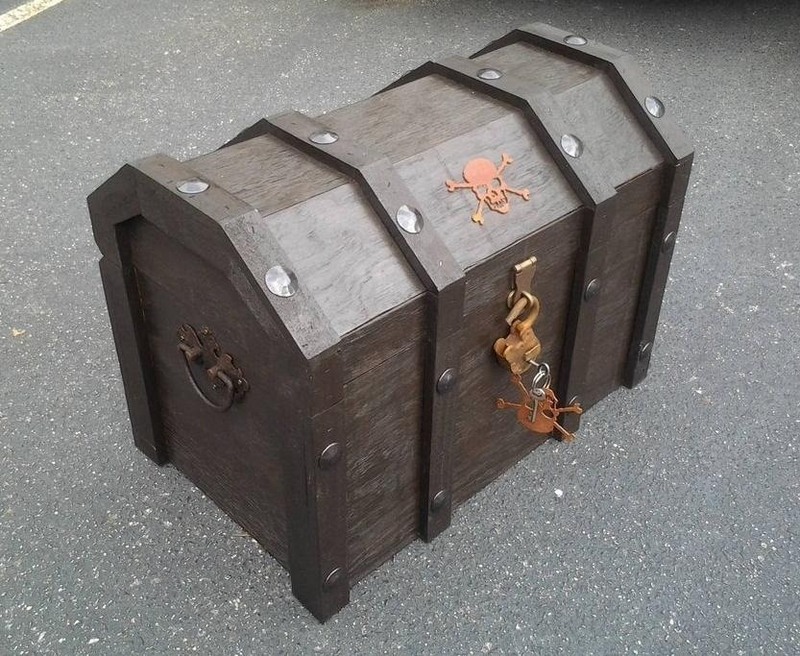 After the box was finished, all that was left to do was stain it and add the little details to make it look authentic. ShutUpLori says he searched Google for rustic nail covers, handles, and locks. The skull and crossbones on the front is also a nice touch. Check out ShutUpLori's Imgur album and the original Reddit thread for more details.